I moved to Brooklyn in the fall of 2015 with rock n’ roll dreams. I was going to start a band. It turns out finding musicians in a new city is harder than I initially anticipated. 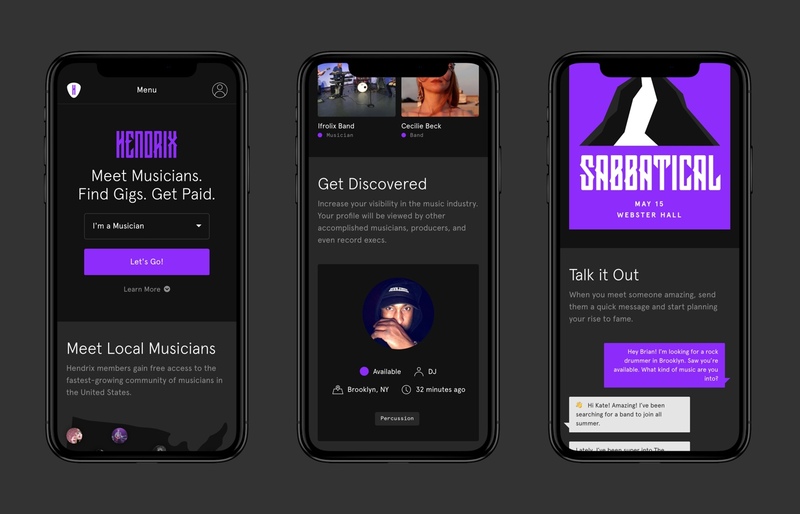 There’s Craigslist, Soundcloud, and Bandcamp – but none of those services facilitate meeting others in a face-to-face capacity. I wanted something that felt more personal, grassroots, and even a little gritty. 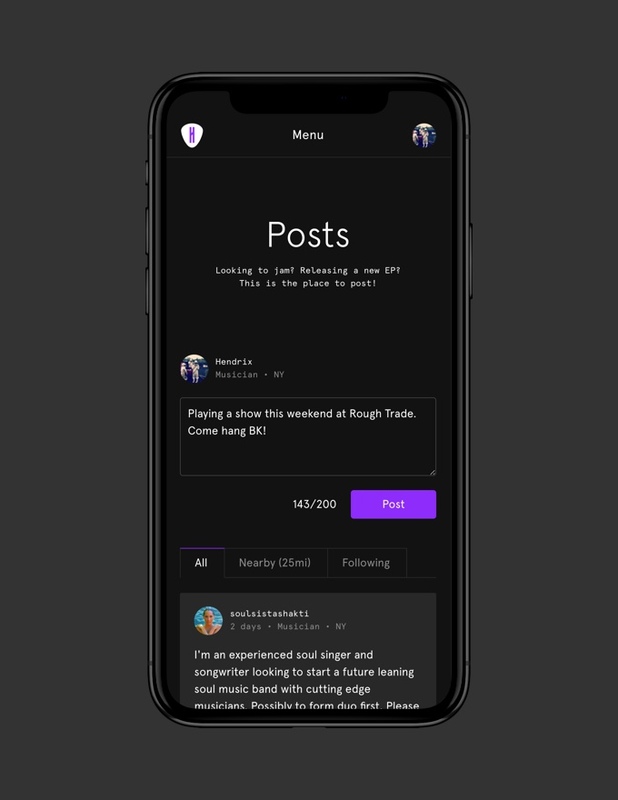 A more-social social network for musicians. A name needs to be so many things. It needs to be memorable, but not marketing-speak; descriptive, but not complex; evocative, but not too abstract. 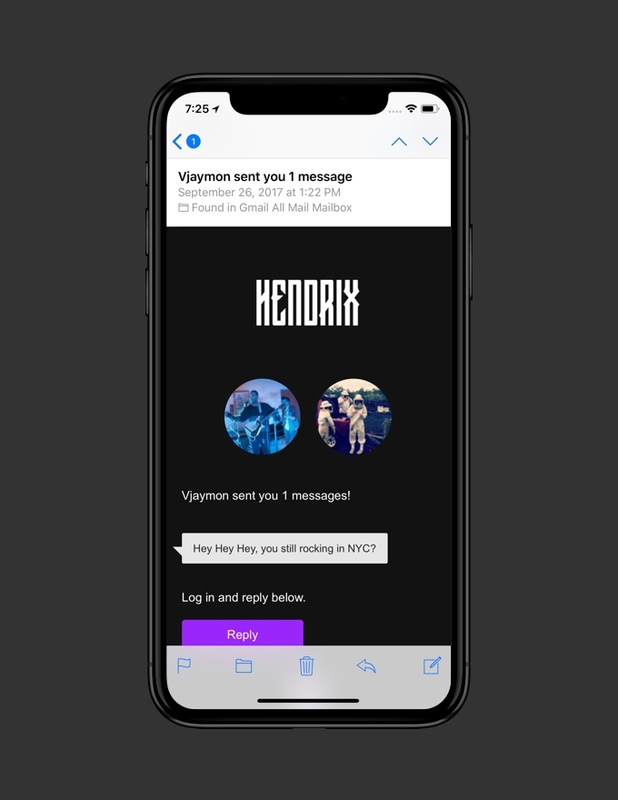 After sifting through a list of hundreds of names (many along the lines of BandFinder 2.0), Hendrix hit the mark. Jimi was a rock legend and one of the most celebrated musicians of the 20th century. The name Hendrix is memorable, descriptive, and evocative at the same time. 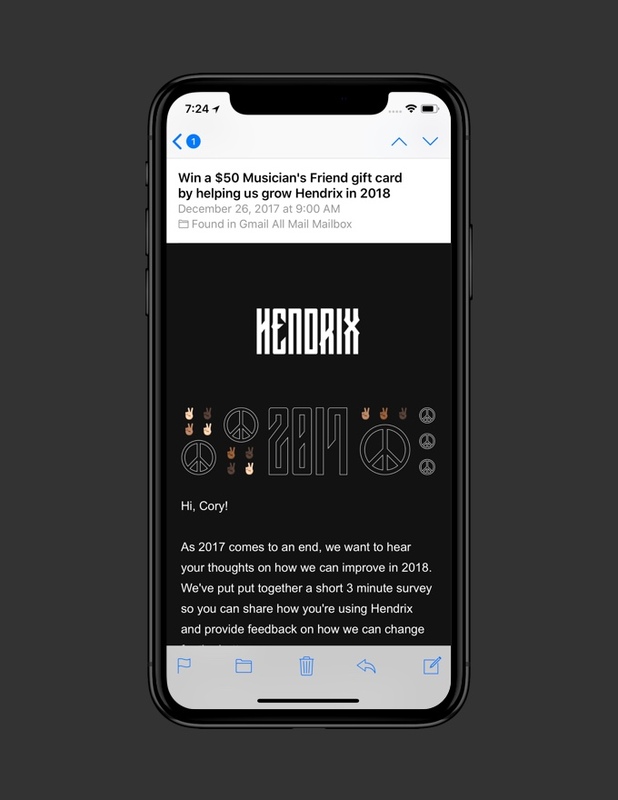 Plus, the domain gohendrix.com was available. Deal. 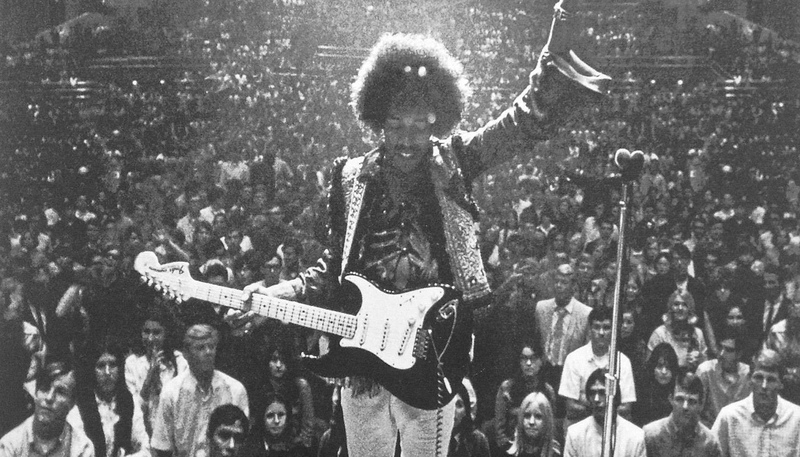 Jimi Hendrix performing in Bakersfield, CA circa 1968. I typically start branding projects with visual research. 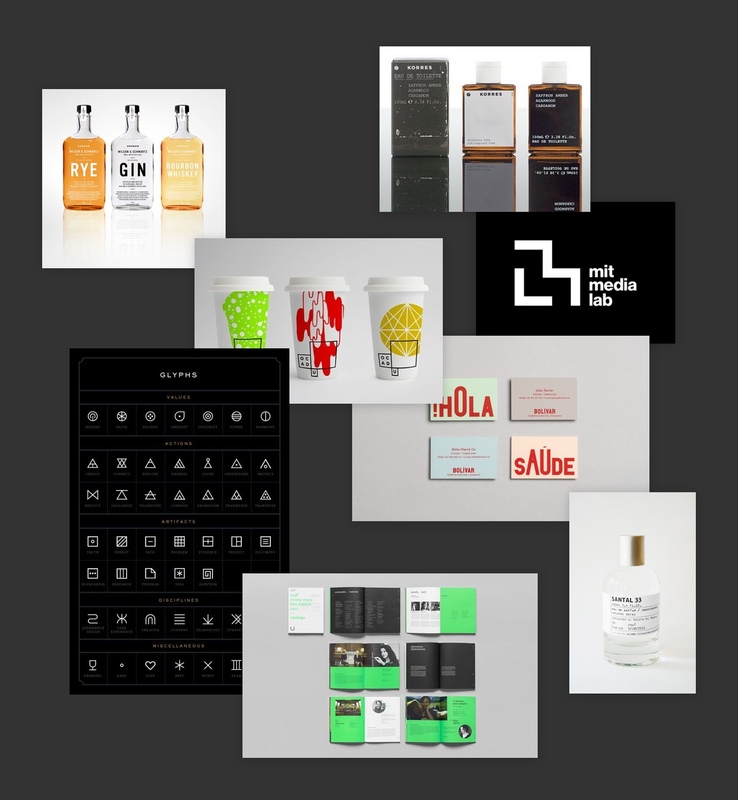 I assemble a moodboard of ideas to get a sense of the general aesthetic and feeling the brand should evoke. 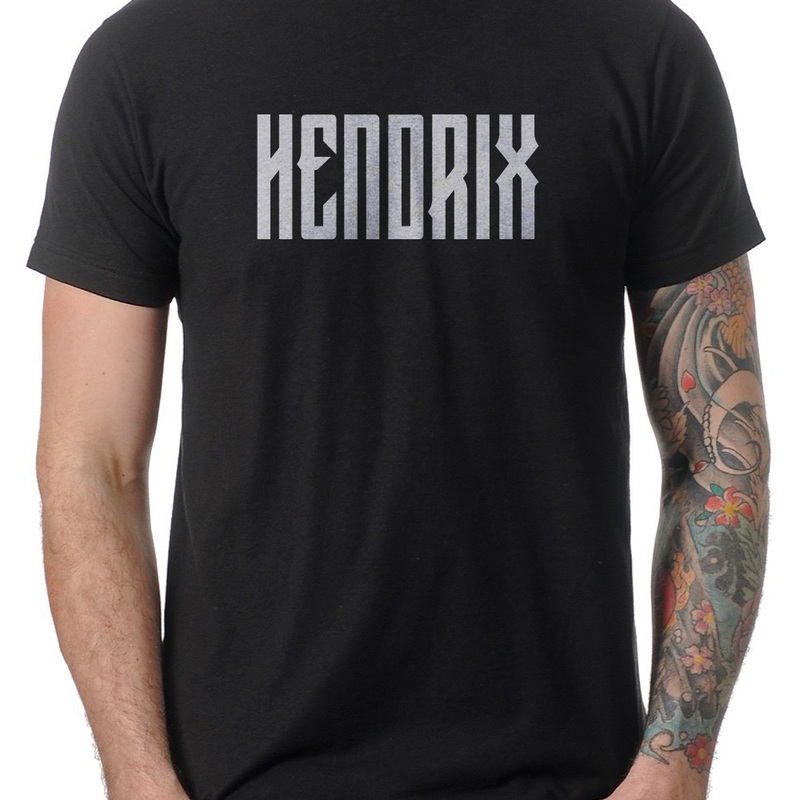 I wanted the Hendrix brand to be dark and moody with a lighthearted, modern edge. 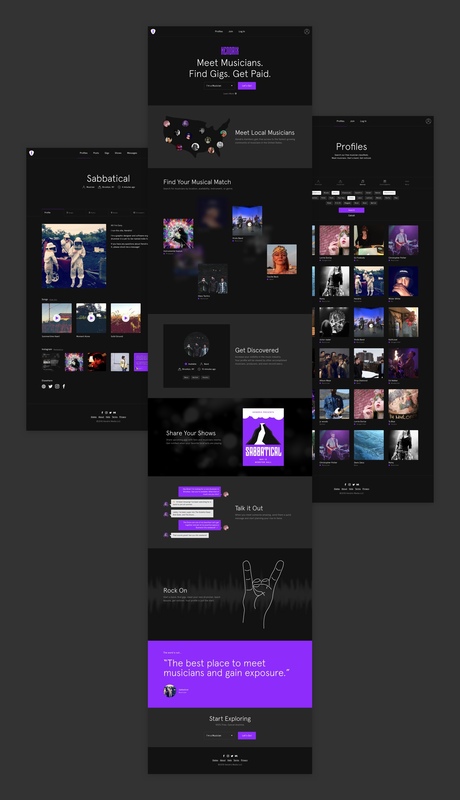 One of three Hendrix moodboards. 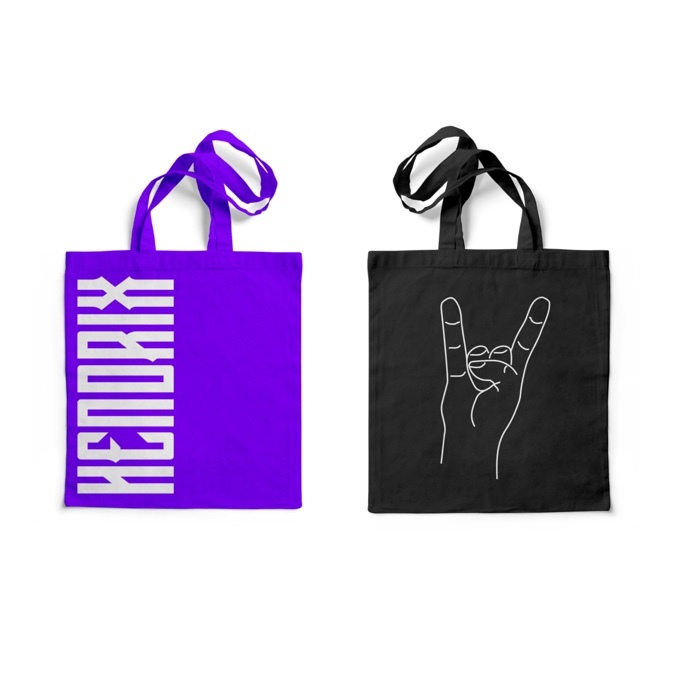 A color palette aptly named after rock icons Black Sabbath, Jimi Hendrix, and Rob Zombie emerged soon after. 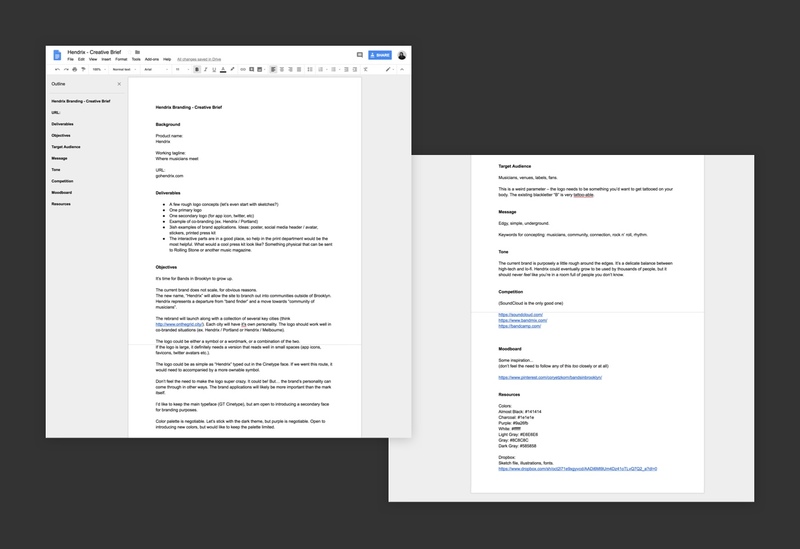 Next, I wrote a creative brief and engaged a team of freelancers to further define the brand and illustration style. Thomas Williams designed the wordmark, utilizing a custom typeface by Carl Rylatt. Every startup needs a t-shirt. We paired the wordmark with Colophon's Aperçu. The typeface is a modern take on classic Gothic faces such as Neuzeit and Franklin Gothic. 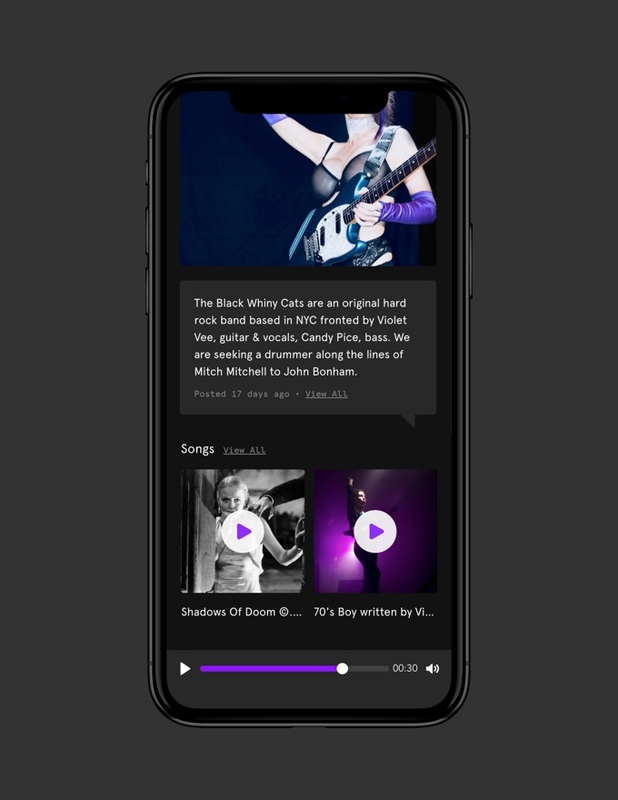 Its balance of legibility and Gothic sensibilties fit well with the rock n' roll vibes. Judson Collier did an incredible job creating illustrations that appear throughout the app. The gestures act as encouragement and are coupled with helpful messaging to guide the user. 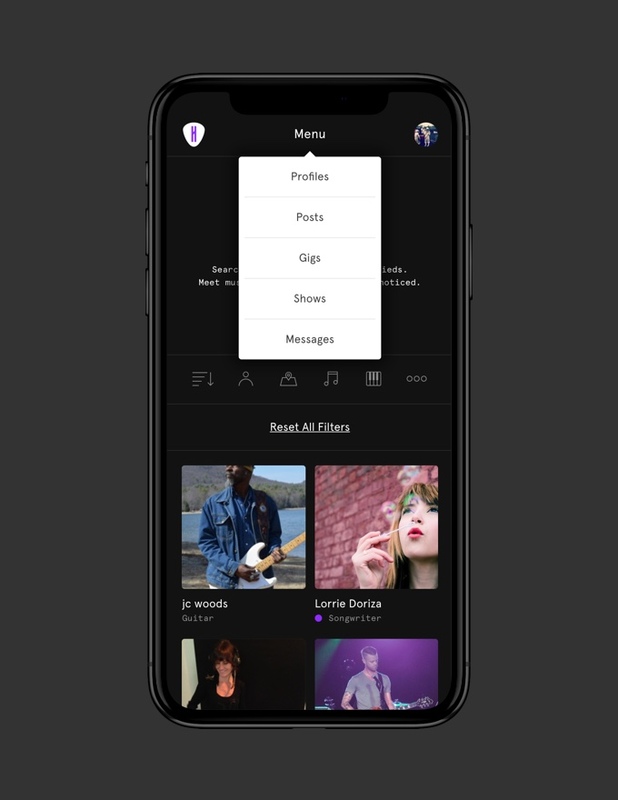 The app interface came together quickly with so many visual assets already in place. 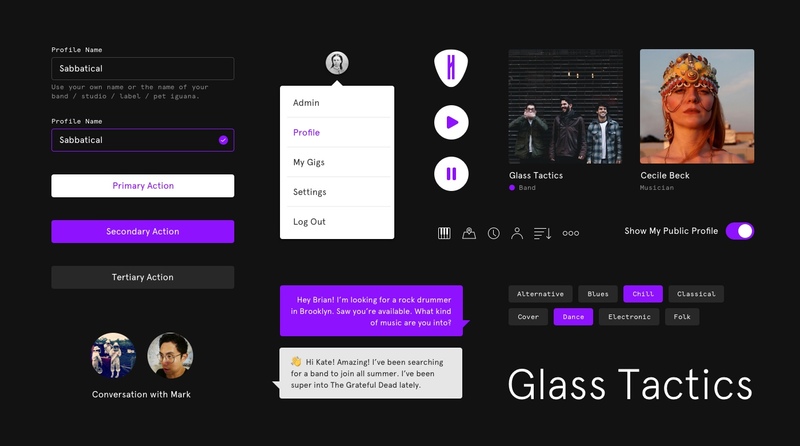 Hendrix UI components. Maintained as a Sketch library and HTML components. Browsing profiles / dropdown menu / filters. 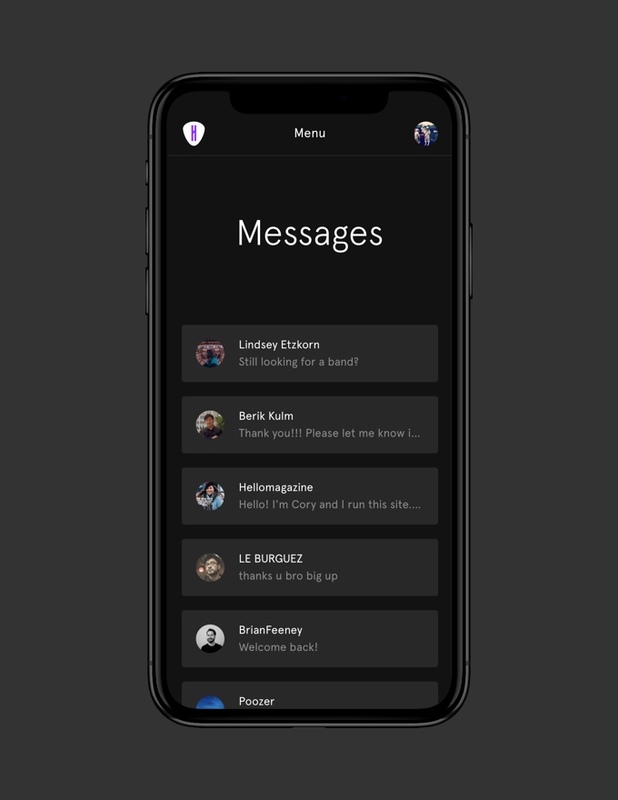 Real-time messaging powered by websockets. 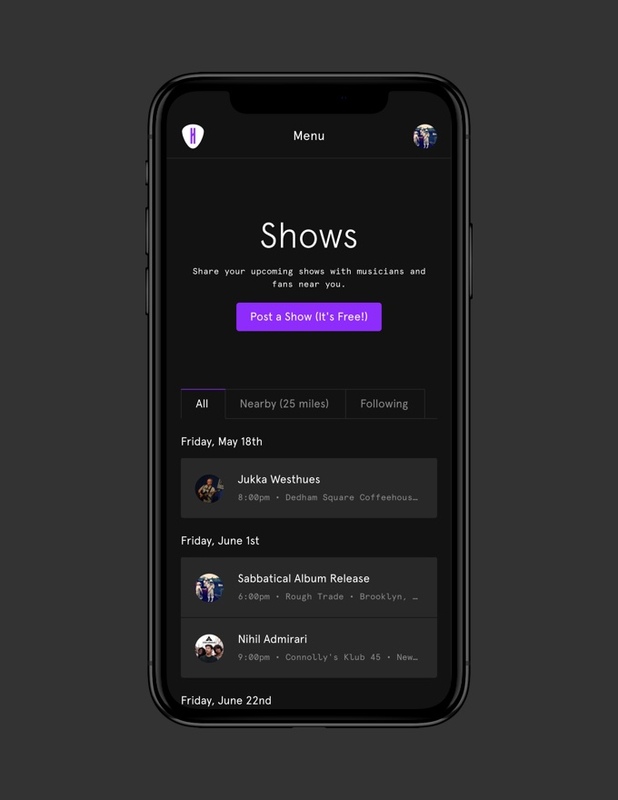 The app's responsive architecture ensures it looks and works perfectly on screens of all sizes. 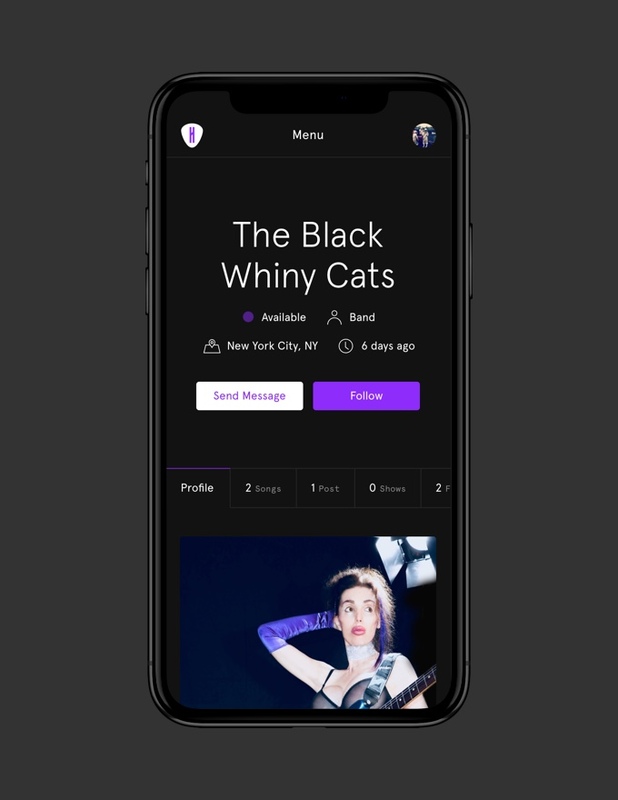 A social app is only as good as its users and the content they upload. For that reason, it's imperative to guide the user every step of the way. 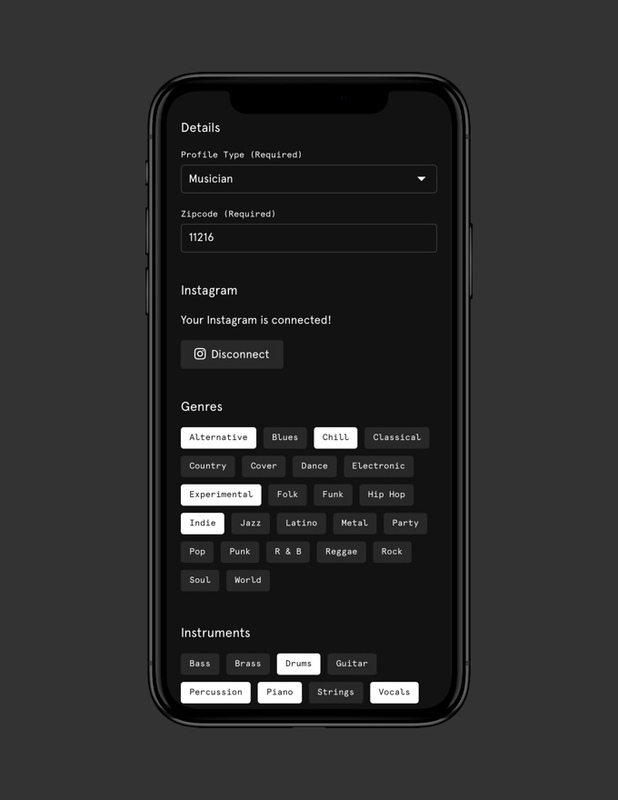 Building out a profile takes time and effort — a well-designed app makes the process effortless. 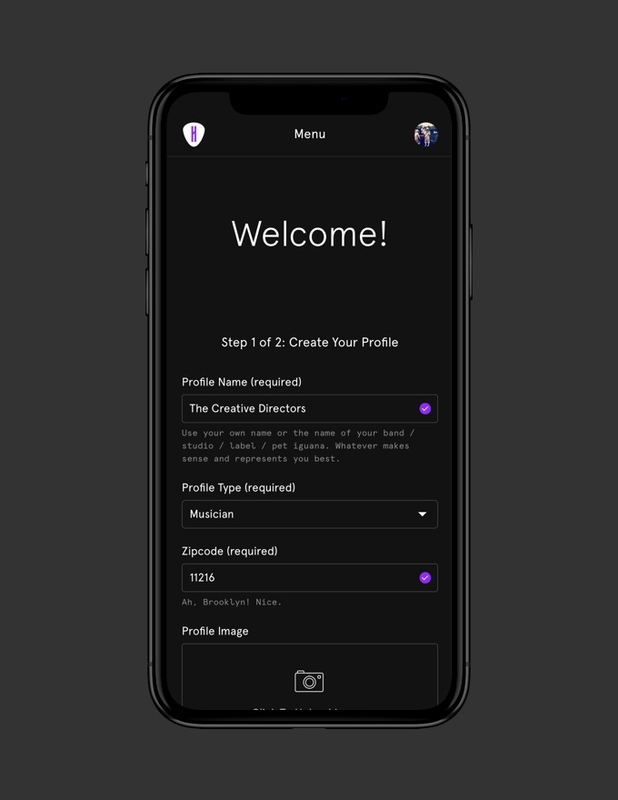 Profile creation / onboarding step 1. 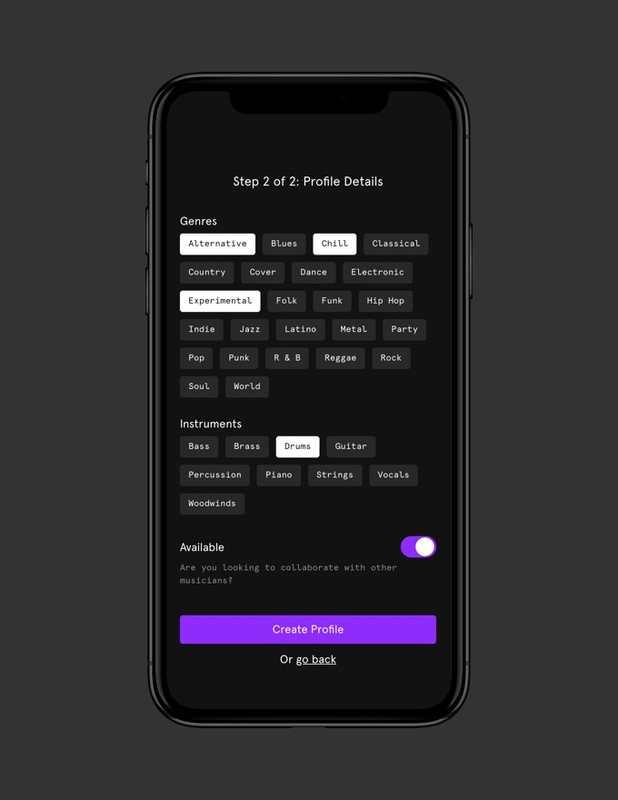 Profile creation / onboarding step 2. A time-based drip email campaign is triggered upon profile completion. 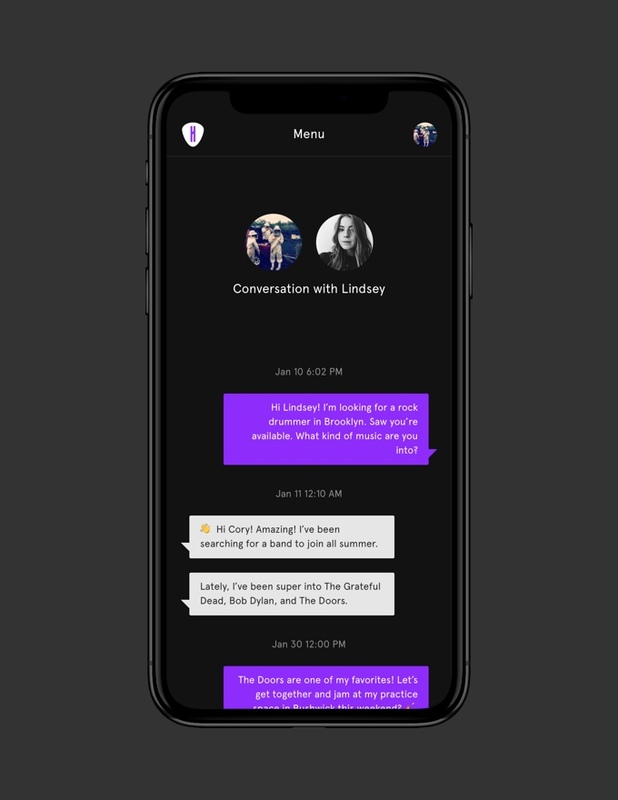 The messages offer insight into the app's mission, purpose, and offer tips to make the most out of the experience. 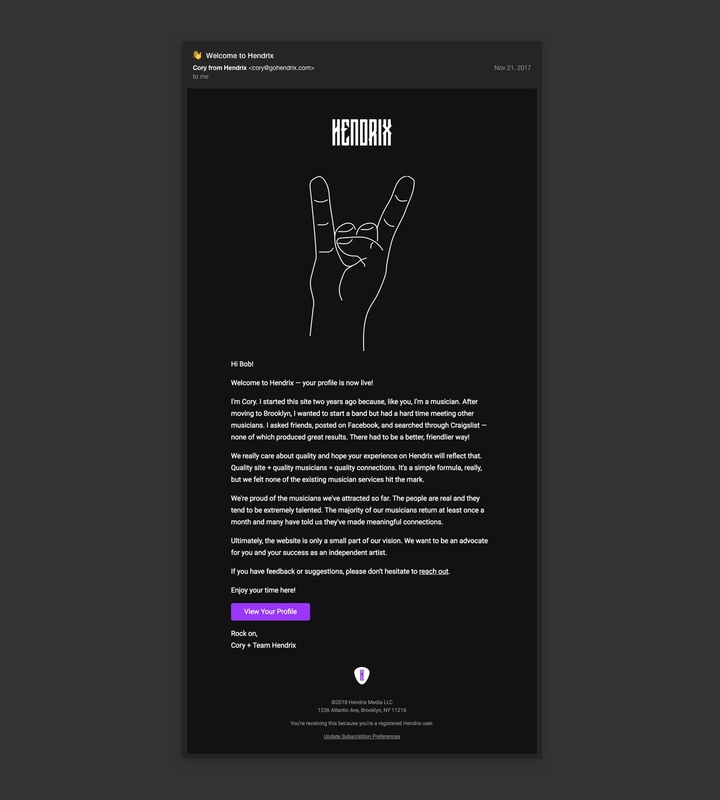 Personalized welcome email from the founder. 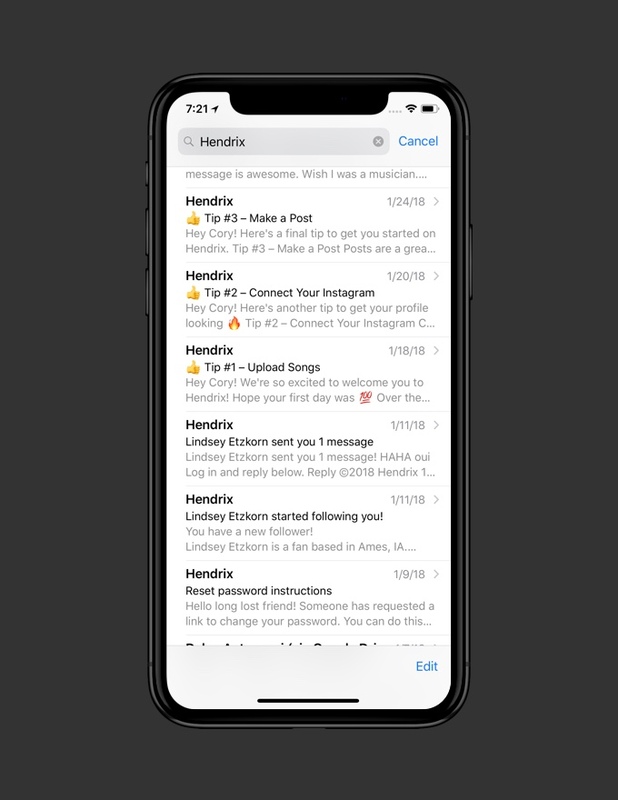 Onboarding emails / drip campaign. Notifications are triggered at critical moments such as when a user gets a new follower or receives a message. 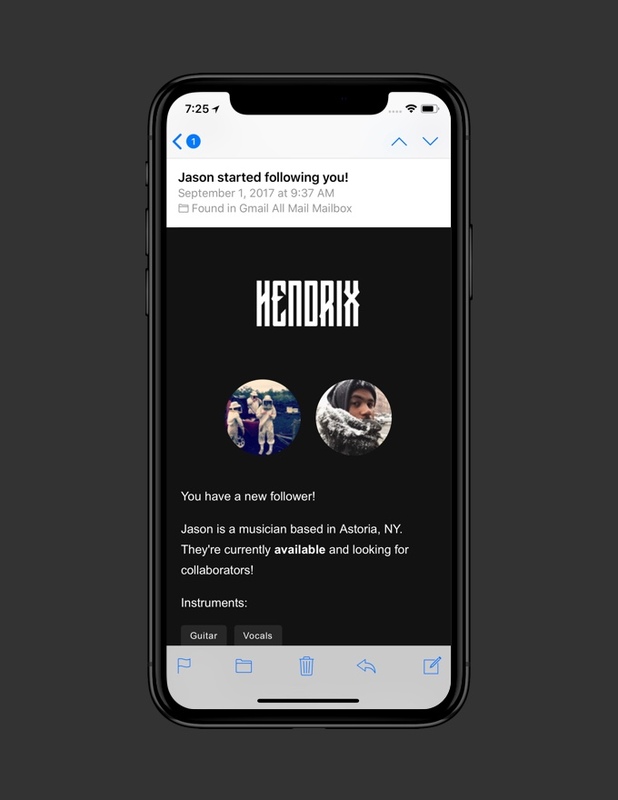 A weekly digest email highlights new users nearby. 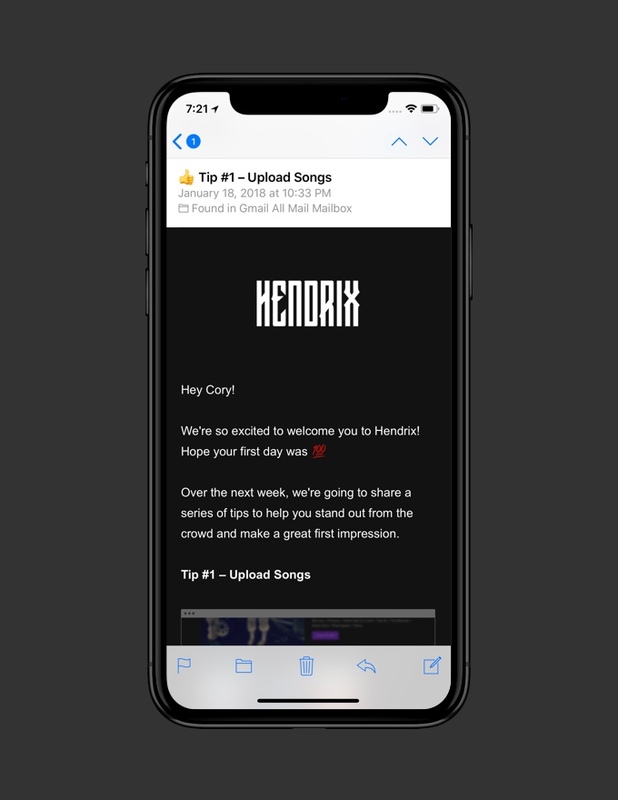 Surveys are scheduled biannually to collect user feedback and help direct the future of the app. Digital products are never truly done. New features are added; old features need to be maintained. 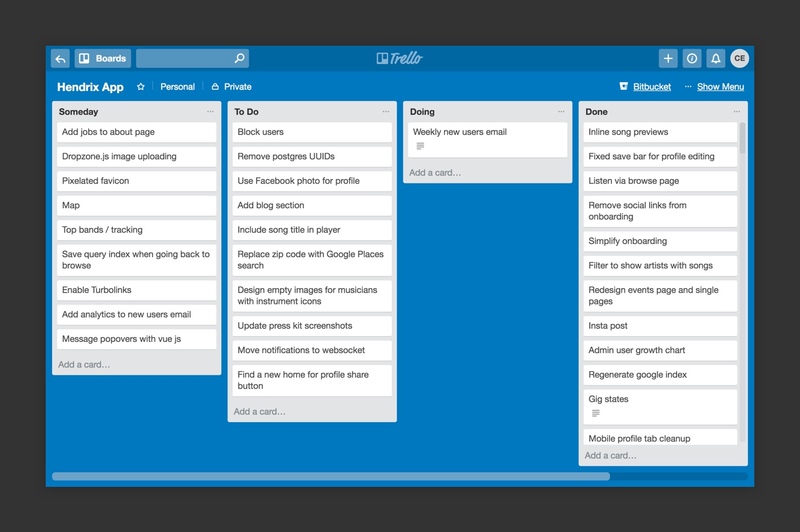 I track ideas in a Trello board and work on them as needed. It's been rewarding to see the “done” column grow. 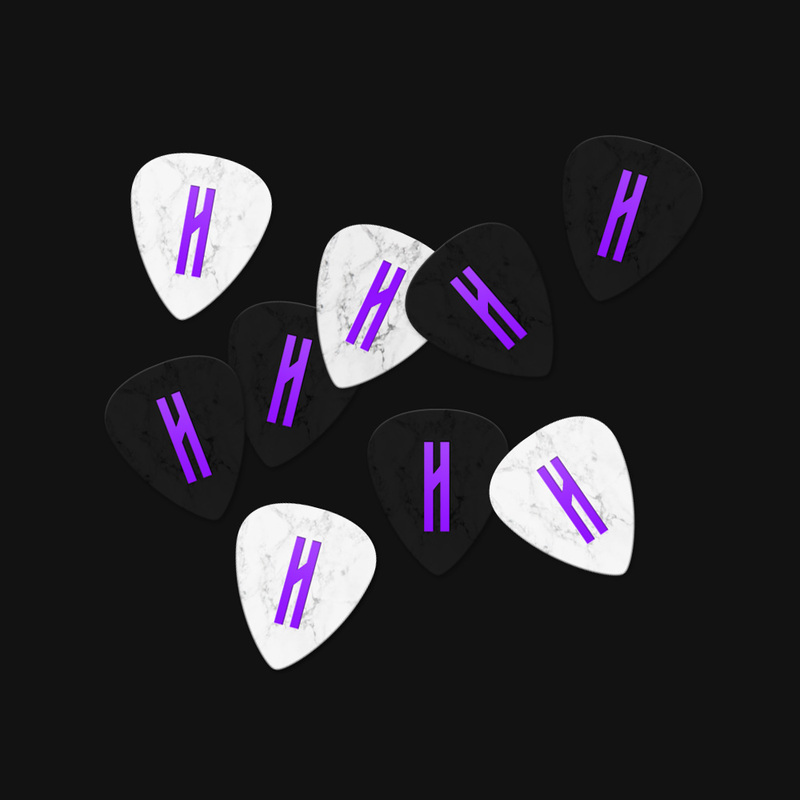 If you’re a musician, I’d love to have you join the community at gohendrix.com. We're only getting started.